You know how it goes, one day you are being asked to type in the third word from paragraph 4 of the 22nd page of a manual, and the next you are dealing with genetically engineered company representatives. It’s the way DRM is going, this seems to be the only logical solution. Oh and thanks again GeoHot, you toss-jockey. 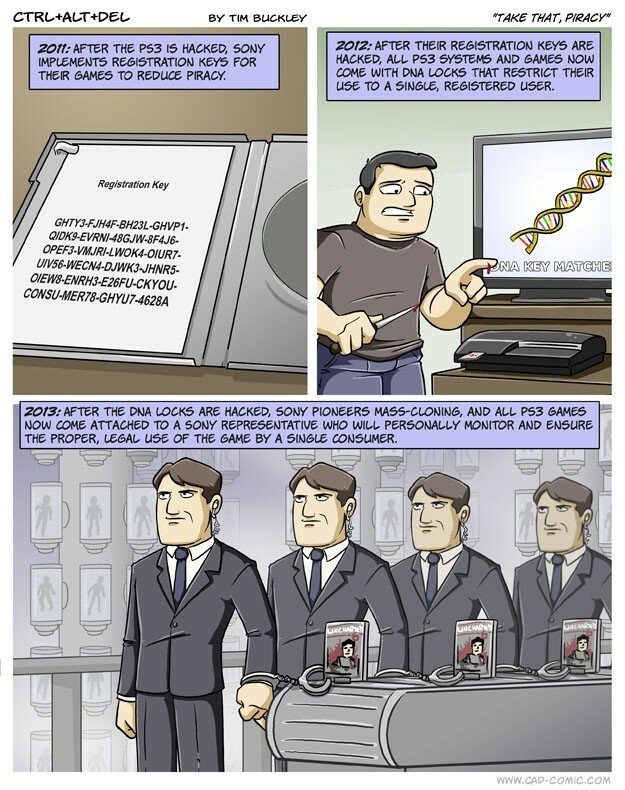 Awesome comic from the Ctrl-Alt-Del online comic, after the jump. You can click to see it at full size. You can read more of the awesome CAD comics on their website here.